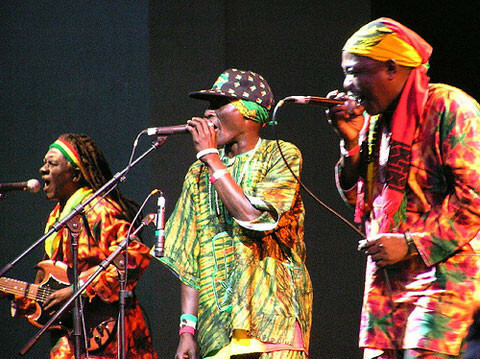 Sierra Leone's Refugee All Stars continue their success on the airwaves for the month of June from listening figures recently released, by topping the prestigious World Music Charts Europe www.wmce.de/. One of the most noted world music surveys, WMCE chart placement is calculated from the votes of 50 high-profile radio programmers across the continent. In North America, SLRAS is riding high in the top 10 of CMJ's New World chart for the 11th week in a row. Rise & Shine (www.cumbancha.com/slras ) entered the CMJ chart at #7 and quickly shot to #1 where it remained for two weeks. Their latest CD "Rise & Shine" is now also available on the Cumbancha label.